A few things come to mind in relation to recent rumors and hints from DC. We know that Van Jensen is leaving the book (no response yet from Venditti), though it was suggested that he was leaving after #51. It looks like #52 is his actual final issue. Speaking of final issues, contrary to rumors that “Rebirth” might be another line-wide renumbering, none of DC’s main books is marked as “final issue” in the solicitations. That’s not proof of anything, of course, given that we know at least Starfire is ending (Conner and Palmiotti have said that they’ve wrapped up a 12-issue plan and the book is ending with it), and a lot of the summaries sound like they could be either finales or epilogues. 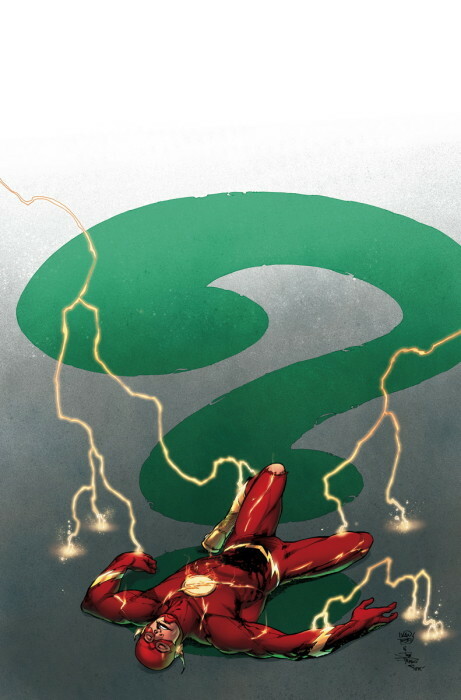 We still don’t know exactly what “Rebirth” — excuse me, #Rebirth — is, so even if it does turn out to be another reboot, relaunch or renumbering, it looks like it won’t be quite so hard a line as Flashpoint/New 52 or even Convergence/DC You. This entry was posted in Flash News and tagged DCU: Rebirth, Riddler, Solicitations on February 16, 2016 by Kelson. 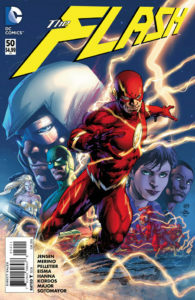 The Flash’s world is in utter chaos: he’s wanted by the police, headed by his adoptive father. His enemies, The Rogues, have been deputized to take him in. 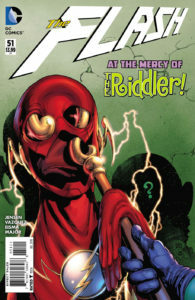 And it couldn’t be a worse time for The Riddler to stake his claim as the most dangerous man in Central City! 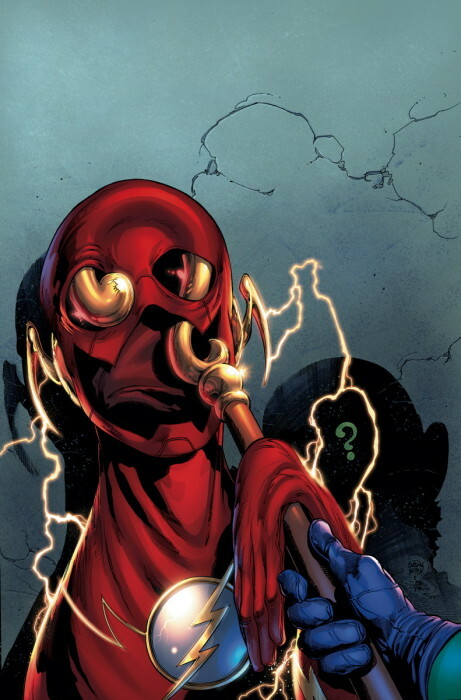 This entry was posted in Flash News and tagged Riddler, Solicitations on January 19, 2016 by Kelson.